Twenty-four hours can make a huge difference in a baby elephant's life. 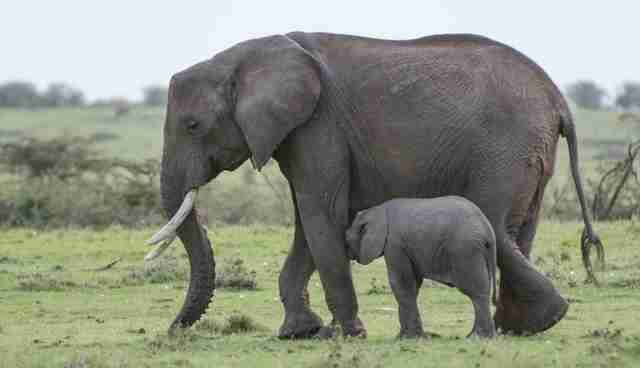 One day tourists were watching a 10-month-old elephant frolicking with her mother, whom she depended on for milk. And the next, that same baby elephant, now known as Roi, was found standing over the body of her mother, felled by a poacher's poisoned spear. 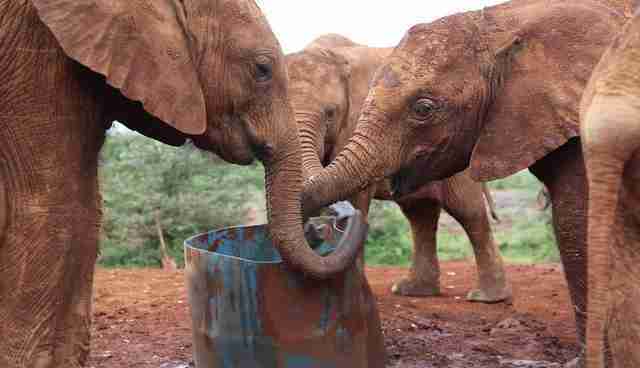 The little orphaned elephant was in danger of dying without her mother's milk, so rescuers moved swiftly. Roi and the other elephants from her herd were on the move. But as quickly as elephants move, humans are faster - especially when they've chartered a plane. The Mara Elephant Project tipped off members of the David Sheldrick Wildlife Trust, who raced to Roi in a plane and then by jeep. The rescuers managed to divert the baby elephant away from the bigger animals. Once captured and comfortably restrained, she was on her way to a sanctuary. Now at the wildlife group's Elephant Orphanage, Roi has round-the-clock care and the company of other orphaned elephants. In a turn of good fortune, she's taken to bottled milk, which orphaned elephants don't always do. 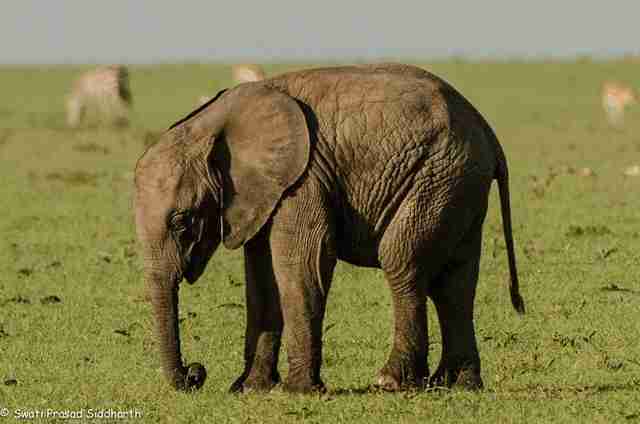 In an email to The Dodo, the David Sheldrick Wildlife Trust's Amie Alden said that the sanctuary is providing not just nutrition but space for the elephant to mourn, as observational evidence indicates that elephants feel grief. "The first few weeks for any young elephant orphan are always critical," she said. "With the help of the other orphaned elephants in our care who provide psychological support to tiny Roi, she is adjusting to her new surroundings." That Roi is an orphan pachyderm is a heartbreaking, if not unique, situation - she joins 30 elephants in the Nairobi nursery. It's a scenario played out too often on the African savanna. 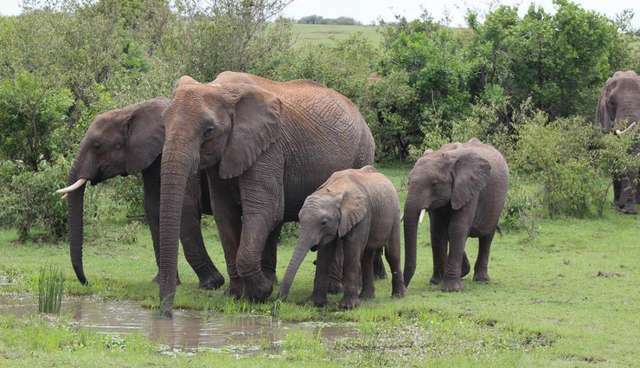 With 100,000 elephants killed in the past three years, some conservationists believe that the demand for ivory could lead to the extinction of wild African elephants.